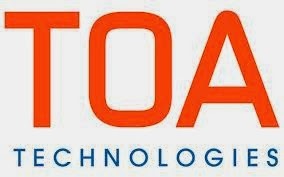 So that is why the Toa Technology team canceled my Google+ Hangout interview with them last week. They were getting purchased! Toa Technologies is a very successful cloud based provider of field service management solutions that is heavily involved in mobile technologies. They had been accumulating a stellar team and was regularly announcing sales deals with companies that had thousands of service technicians working in the field. That is precisely why I wanted to interview them! I am impressed with Oracle's aggressive launch into mobility in 2014. They were late to the game, but are really stepping up. A few months back I wrote an article (http://mobileenterprisestrategies.blogspot.com/2014/05/oracle-mobility-emerges-prepared-for.html) about Oracles latest moves into enterprise mobility. http://www.oracleimg.com/us/assets/bulletsquareblk.gif) 0px 0px no-repeat rgb(255, 255, 255); list-style: none; margin: 0px 5px 0px 0px; padding: 0px 0px 10px 9px;">Oracle today announced that it has signed an agreement to acquire TOA Technologies (TOA), a leading provider of cloud-based field service solutions that manage and optimize the last mile of customer service for enterprises by coordinating activities between dispatchers, mobile employees and their customers. http://www.oracleimg.com/us/assets/bulletsquareblk.gif) 0px 0px no-repeat rgb(255, 255, 255); list-style: none; margin: 0px 5px 0px 0px; padding: 0px 0px 10px 9px;">TOA’s Field Service SaaS enables modern enterprises to continuously monitor real-time field service requests coming in from contact centers, to schedule the right field service representative to dispatch, and to use sophisticated business analytics to monitor and view current inventories, accurately predict service windows, and optimize field service operations. TOA’s customers have more efficient field service operations, lower costs of delivering field service, and deliver a superior customer experience. http://www.oracleimg.com/us/assets/bulletsquareblk.gif) 0px 0px no-repeat rgb(255, 255, 255); list-style: none; margin: 0px 5px 0px 0px; padding: 0px 0px 10px 9px;">TOA’s solutions manage over 120 million service events annually in more than 20 countries and include global brands across many industries including DISH Network, E.ON, Home Depot, Ricoh, Telefonica, Virgin Media and Vodafone. http://www.oracleimg.com/us/assets/bulletsquareblk.gif) 0px 0px no-repeat rgb(255, 255, 255); list-style: none; margin: 0px 5px 0px 0px; padding: 0px 0px 10px 9px;">Oracle Service Cloud, part of Oracle Customer Experience Cloud, is an industry-leading platform for online customer service, cross-channel contact center, knowledge management, and policy automation. Oracle ERP cloud solutions help accelerate productivity, allocate resources, and provide on-demand information access. http://www.oracleimg.com/us/assets/bulletsquareblk.gif) 0px 0px no-repeat rgb(255, 255, 255); list-style: none; margin: 0px 5px 0px 0px; padding: 0px 0px 10px 9px;">Oracle Service Cloud and Oracle ERP cloud solutions combined with TOA will empower innovative customer service organizations to drive operational efficiencies while bolstering customer satisfaction and exceeding service expectations through personalized service. http://www.oracleimg.com/us/assets/bulletsquareblk.gif) 0px 0px no-repeat rgb(255, 255, 255); list-style: none; margin: 0px 5px 0px 0px; padding: 0px 0px 10px 9px;">More information on this announcement can be found athttp://www.oracle.com/toatechnologies.